Headache is the symptom of pain anywhere in the region of the head or neck and it occurs in migraines, tension-type headaches and cluster headaches. Frequent and continuous headaches can negatively affect and individuals' career and relationships. Those that suffer from severe headaches are also prone to increased risk of depression. Many people are looking for how to make a headache go away fast without medicine and how to get rid of a headache instantly so today we'll be sharing some amazing tips to help you achieve that. To be honest with you, the best ways to cure headaches without drugs is by preventing it and we'll be sharing that today. 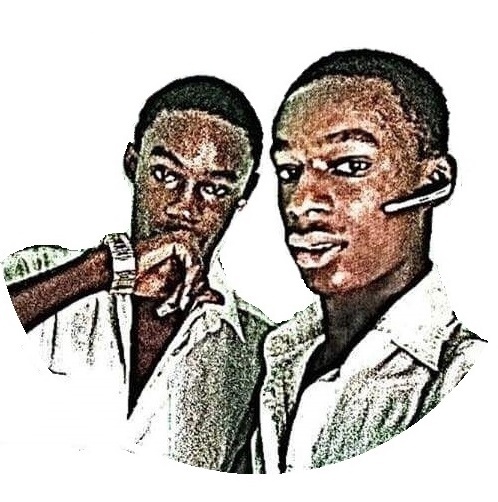 Before we continue,you might love to checkout some of these posts. 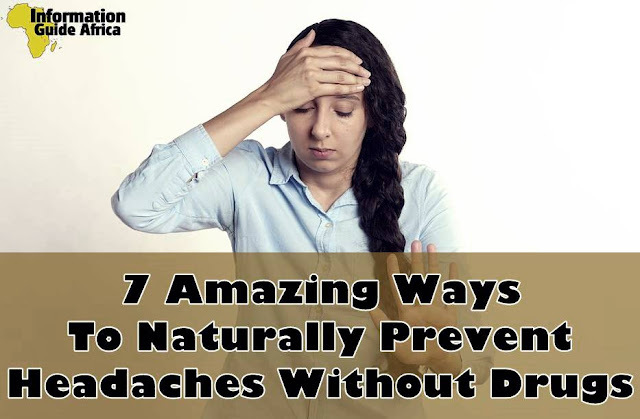 These are some hand-picked articles in our health category, so let's get back to the 7 Amazing Ways To Naturally Prevent Headaches Without Drugs. After a stressful day's job, try as much as possible to take a rest especially if your job is affecting your health. You can even consider switching to another job if your main job doesn't give you enough time to take some rest. Another factor that might contribute to this is the distance from your house to your place of work and the means of transportation. These factors are worth considering,remember health is wealth. Many people sacrifice their health in pursuit of wealth and later spend the wealth pursuing health. Inadequate hydration can make an individual to develop a headache. In fact, medical studies have revealed that chronic dehydration is one of the common causes of tension headaches and migraines. Gratefully, taking of enough water has been proven to be of great aid in relieving headache symptoms in most individuals in an average of three hours. Reduction in the intake of alcohol is also one of the natural ways of curing a headache.Although the intake of alcohol might not directly cause headache, it can trigger migraines in about one-third of individuals that experience frequent headaches. In addition, alcohol also causes the body to lose fluids and electrolytes through frequent urination. This loss of fluid can lead to dehydration, which will in turn,cause headaches. This is a diagnostic procedure that is used for the identification of food that a particular individual can't consume without adverse effects. Medical studies have shown that food intolerances in different individuals can help trigger headaches. Th help you discover the particular diet that might be causing the headache, you can try removing the food that is most related to your headache symptoms. Some food that might trigger headache in individuals include chocolate, citrus fruits, alcohol and aged cheese. Taking some beverages that contain caffeine like coffee and tea can help provide you relief when you are having headache. Caffeine also helps increase the effectiveness of the common medications that are used for the treatment of headaches like acetaminophen and ibuprofen. However, individuals with reports of frequent headaches should be mindful of their caffeine intakes as sudden withdrawal can also cause headaches. Strong odours from household products like perfumes and cleaning products can trigger headaches in certain individuals. If you notice that you are sensitive to smells, try your best to avoid perfumes, cigarette smoke and strongly scented foods that may increase your chances of getting a migraine. Exercises have also been proven to contribute greatly in the reduction of headaches and migraines.A medical study conducted in over 92,000 individuals proved that a low level of physical activities and exercises has a great potential of causing headaches. So if you've not yet started carrying out some physical exercises,why don't you start it today?